Substation Staff N.S.W. Government Tramways Roll of Honour commemorates those who served in World War One. 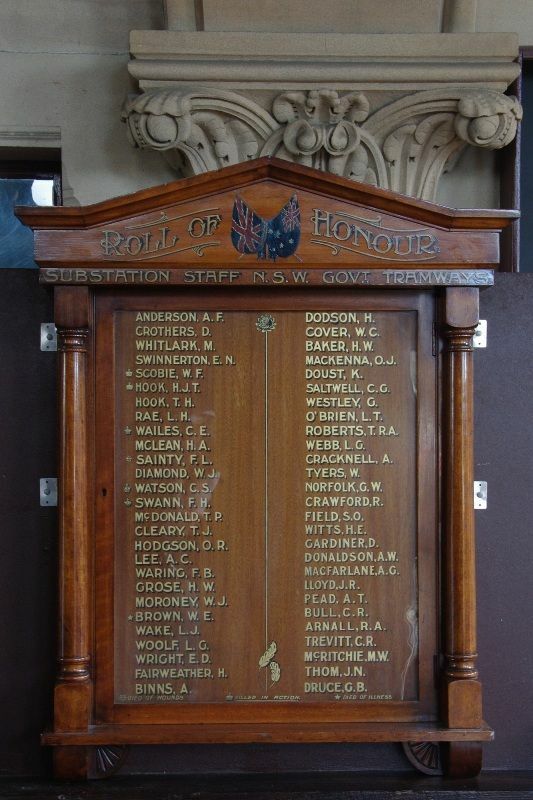 Note : This Honour Roll was on display coinciding with the 2015 Transport Heritage Expo held at Sydney Central and Mortuary Station between 6th June and 8th June 2015. Mortuary Station held a display commemorating the NSW Railways part in World War One. It is understood to have been recovered from storage on nearby railway property. It is further understood to be awaiting a more permanent display location.